This report covers the audit of payments made through VA’s Fee Basis Claims System (FBCS), encompassing claims paid via that payment process from November 1, 2014 through September 30, 2016. A subsequent report will contain the results of an audit conducted to assess VA’s processing of payments through a “bulk payment” process during 2016 and 2017. The Executive Summary is below followed by a link to the full report. On August 7, 2014, following well-publicized issues regarding delays in accessing care at VA medical centers (particularly in Phoenix, Arizona), Congress enacted VACAA, which set forth a broader program (the “Choice Program”) to enable eligible veterans to obtain medical care from providers in their communities.2 Congress appropriated $10 billion to the Choice Fund to be spent on care and expenses specifically authorized under VACAA, including $300 million for administrative expenses associated with establishing and maintaining the Choice Program. 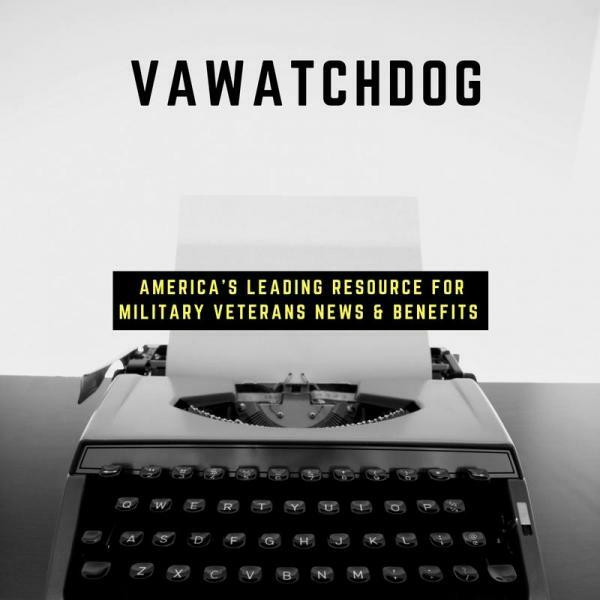 VACAA required VA to implement key portions of the Choice Program within 90 days, and veterans began using the Choice Program by November 2014. 2 Public Law 113-146 (August 7, 2014), Veterans Access, Choice, and Accountability Act of 2014. Eligibility for Choice is based on specific criteria relating to wait times for appointments and distance from the nearest medical facility, and these eligibility requirements have been modified on occasion by statute and regulation. Party Administrators (TPA) Health Net Federal Services LLC (Health Net) and TriWest Healthcare Alliance Corporation (TriWest) to include administration of the Choice Program, including establishing provider networks, scheduling appointments, receiving medical documentation, and making payments for medical care on behalf of VA. Under the PC3/Choice contracts, VA makes payments to the TPAs, not the providers. The TPAs are responsible for paying their providers. VA reimburses the TPAs for payments the TPAs make to providers for veterans’ medical care obtained through the Choice Program. TPAs’ billings are submitted to OCC electronically, and then processed by VA’s Financial Services Center (FSC) in Austin, Texas. During the period of review for this audit, the FSC processed Choice claims using FBCS. Choice payment data were obtained from VA’s Central Fee Files and statistically sampled for each TPA. Our audit included Choice claims processed in FBCS for payment to the TPAs from November 1, 2014 through September 30, 2016. We did not audit bulk Choice medical payments processed outside of FBCS,4 Choice administrative payments, or payments for Hepatitis C and other non-Department care that used Choice Program funding. We reviewed a sample of payment transactions from the approximately $649 million paid to Health Net ($69 million) and TriWest ($580 million) from November 1, 2014 through September 30, 2016, via FBCS.5 We reviewed the PC3/Choice contracts and interviewed officials from OCC, FSC, the Denver Acquisition and Logistics Center, Health Net, and TriWest. We used a third-party vendor to evaluate medical claims in our audit sample to determine if the Medicare rates applied were correct. We estimated that from November 1, 2014 through September 30, 2016, payment errors were made on approximately 224,000 of 2.0 million Choice claims (12 percent)6 paid via FBCS. Payment rate – Payments made on claims that did not use the appropriate Medicare or contract adjusted rate 4PC3/Choice contracts were modified in March through November 2016 to allow VCPBYPASS (payments for Choice medical claims that were not submitted to Veterans Affairs by the TPAs due to missing medical documentation) and Expedited payments for Choice medical care to TPAs. We refer to these transactions as “bulk payments” for the purpose of our report. Because these bulk payment processes were not in place when this review was planned, a second audit was started in April 2017 to address the accuracy of payments under the bulk payment process. the non-VA Care Program which does not include PC3 or Choice claims. 6All payment error rates presented in this report are based on projections for a randomly selected sample; see Appendix C Statistical Sampling Methodology for more details. We estimated that OCC payments to TPAs for approximately 1.0 million of 2 million claims (50 percent) were made in excess of the 30-day Prompt Payment Standard from November 1, 2014 through September 30, 2016. We also estimated that Health Net took 47 days on average to pay its providers from November 1, 2014 through September 30, 2016. TriWest averaged 39 days to pay its providers for the same period. 7 Public Law 113-146 (August 7, 2014) Veterans Access, Choice, and Accountability Act of 2014 (VACAA), Section 105(b)(1) and (2). VACAA requires VA to establish a claims processing system that complies with all requirements of the Prompt Payment Act, 5 CFR part 1315 – Prompt Payment. OCC failed to comply with VACAA regulations when it established payment processing systems that did not function efficiently and have proper controls to ensure payment accuracy. TPAs improperly billed OCC, and OCC made an estimated 224,000 payment errors when paying the TPAs because OCC did not have in place an effective internal control system for the Choice payment process to ensure Choice payment accuracy. These payment errors resulted in an estimated overpayment of about $39 million during our period of review. OCC did not implement an efficient claims processing system for Choice claims or adequately estimate staffing levels in the Service Level Agreement with FSC so that resources could be allocated in advance to deal with the Choice claims volume demand. Without such a system, OCC will continue to be at risk of late payments and penalty interest charges. Additionally, until OCC adds a standard for Choice payment timeliness to the PC3/Choice contracts for Health Net and TriWest, OCC will not have a control in place to enforce timely payments to Choice providers. Ensure VHA payment processing staff have access to accurate data regarding veterans’ OHI coverage and establish appropriate processes for collecting payments from these health insurers. The Executive in Charge, Office of the Under Secretary for Health, concurred with our findings and agreed that a full review of payments made under the Veterans Choice Program and recovery of all identified overpayments is essential. The Executive in Charge stated that VHA has already taken action to identify past duplicate payments and prevent future duplicate payments to TPAs beginning in July 2017 and plans to continue working collaboratively with the Office of Inspector General (OIG) and all other relevant government stakeholders to ensure that Choice payments are thoroughly reviewed and all overpayments are recovered. principle with Recommendations 2 and 4. Regarding Recommendations 2 and 4, VHA will address the documentation requirement in the upcoming Community Care Network contract. The Executive in Charge’s planned corrective actions are acceptable. The OIG will monitor VHA’s progress and follow up on the implementation of our recommendations until all proposed actions are completed. Have you tried going to the Vet Center ? I did and I’m glad.